Quiz: Are You Really Ready to Take Your Future Husband's Last Name? Act #71: Own your name, own your identity. Future brides, aren't we the lucky ones that we have yet another life-changing decision to ponder in the wake of our upcoming nuptials? Yes, yes, I know that some men also ponder this age-old dilemma, but the last time I heard about a man taking his wife's last name, he was accused of fraud by the Florida Department of Motor Vehicles when he followed protocol to change his driver's license (Google "Lazaro Dinh"). So I've developed a handy dandy step-by-step tool to help future brides through this tough decision. Wish I had such a tool when I got married. Both times. Please indicate your answer with a simple "Yes" or "No". 1. Would your new name make a cooler band name? More powerful president's name? 2. Does your last name of origin connect you to your heritage? 3. Do memories of childhood Thanksgiving dinners bring a smile to your face? 4. Do you consider your relationship to be so extraordinarily special that you might not be impacted by the 50% divorce statistics? 5. Is it important that your newly formed family share a group identity (you know, like the Incredibles, the Huxtables, the Osbornes, or the Kardashians)? 6. Would it bother you if you were mistaken for the nanny every once in a while? 7. Have you achieved some things (like a baccalaureate degree, a personal reputation, a Kroger's card) that you closely associate with your current identity? Are you willing to revise those things to reflect your new identity? 8. Do you plan on wearing white at your wedding even though you've had intimate relations with your future spouse? 9. Are you OK with possible misinterpretation from others that your baby daddy refused to put a ring on it? If you answered "NO" to all of the above questions, you're probably going to want to keep your last name. Clearly you like the way your name sounds, especially if you become famous one day. You've earned this title. You love your business cards and your Kroger card. You also feel connected to your family of origin, your cultural identity, and while you hope to buck the trend, you are realistic that all relationships are vulnerable to divorce if you aren't constantly willing to put the toilet seat down. You probably liked the Cosby Show alright, but are also OK not being seen with your husband if he wore those multi-color knit sweaters that Cliff Huxtable used to wear all the time. And in the event that you keep your name, but permit your offspring to bear your spouse's name, you wouldn't mind taking the extra time to explain to TSA at airport security, that you are not a crazy Asian woman kidnapping a white child with an Irish last name. And that you are not the child's nanny either. If you answered "YES" to at least 4 out of the 9 questions, you're probably already leaning towards shedding your last name and taking on your new spouse's name. Which is perfectly a respectable choice, by the way. If you are planning on wearing white at your wedding, you probably are drawn to tradition and ritual and you might celebrate being referred to as Mrs. (insert husband's last name here). 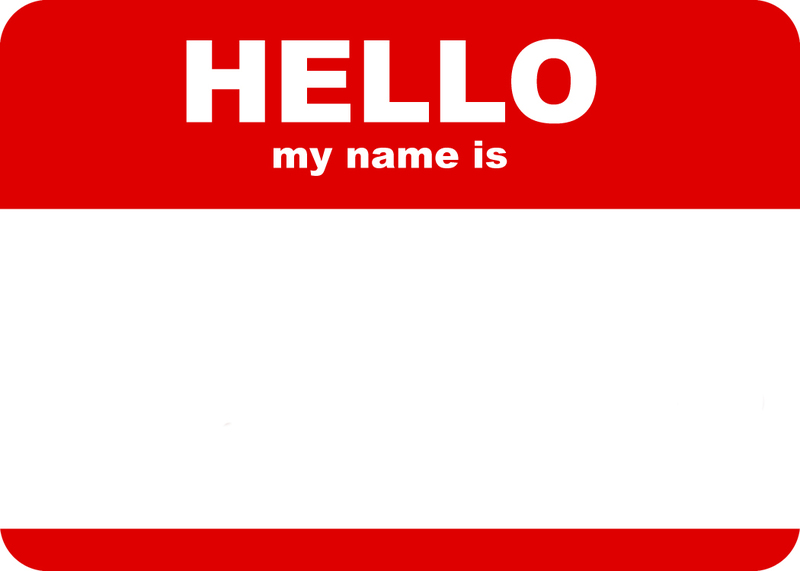 If you always hated the way your name sounded and have an opportunity to re-invent yourself, by all means, take advantage of this willing participant. This might be your only chance since you are not going to be impacted by those pesky divorce rates. There should be some perks to getting married besides a tax break. If it is important to you to be seen by others as a part of a strong, cohesive family unit, for your future kid's teachers to never mistake you for the nanny (or for being easy), wear that name with pride. Own that new name, my friend. Just don't let it own you. Oh, and remember to call the Social Security office. I've been married for more than 30 years. If I had it to do over again, I'd have kept my original name, my "maiden" name as we say around here. :) This is no reflection on my husband, I just wish I'd thought about why I was doing it--mainly because that's what everyone else I knew did. I needed your list way back then! After a year of not being able to decide what to do, we just gave up on figuring it out and continue to mostly ignore the "name" issue (which means my partner and I got legally married but didn't do any name changing, which ironically is a passive act that almost immediate loses that passivity & requires proactive defense....). I think we may have been at the other extreme of you Lisa, where we thought about it why we would be doing whatever we would be doing with our names toooooooo much ;) ha!